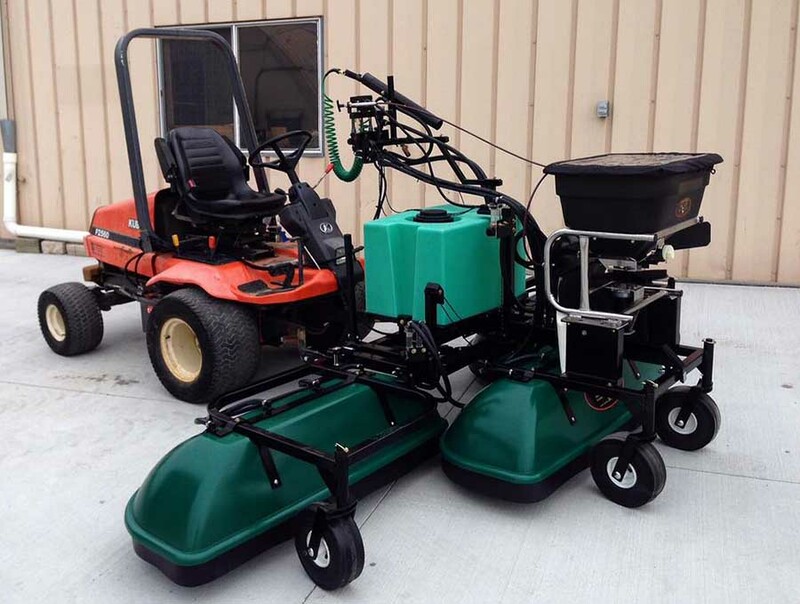 ProLawn's Three Section Sprayer spans a full 11 feet for optimal coverage on large commercial and residential turf areas. 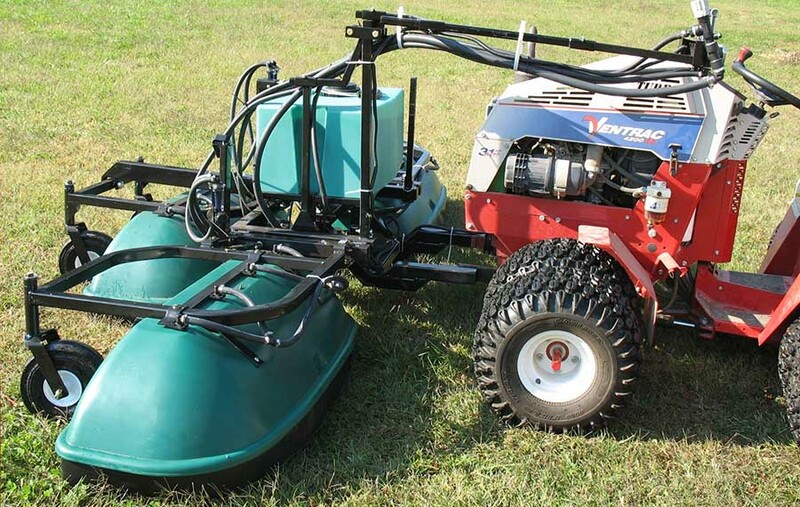 A standard 30 gallon tank is provided with each unit and allows an applicator to spray up to 5.5 acres per tank. The aerodynamically designed shields and fully-shielded curtains, contain chemical spray within the chambers for on target application. 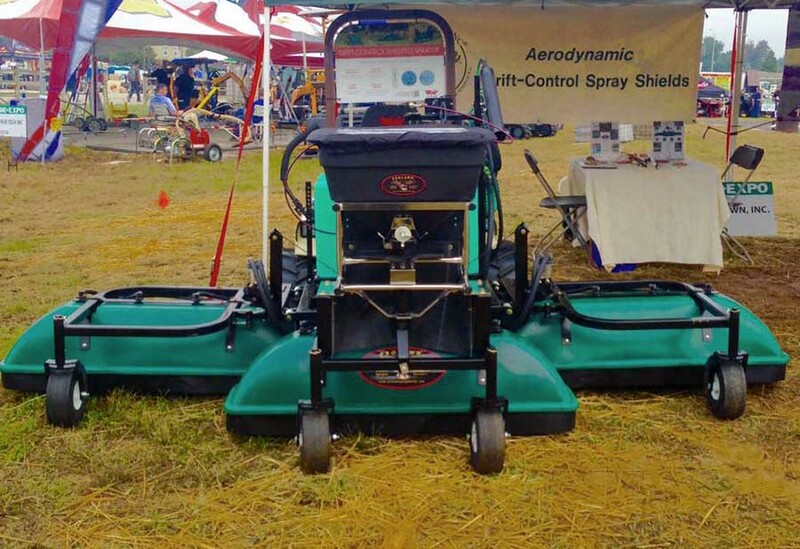 ProLawn's Three Section has the capability to fold up one or both wings for transport or spraying in confined areas. 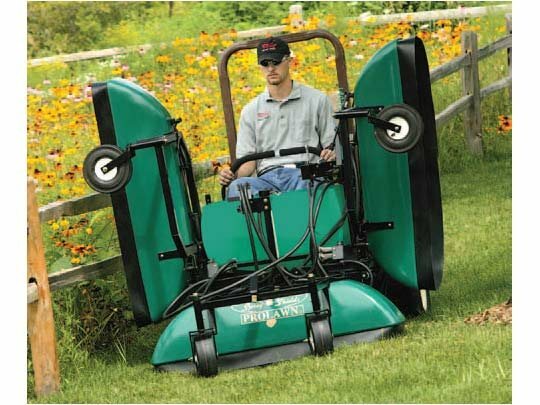 If the applicator were to hit an obstruction, ProLawn has built in breakaways to protect the sprayer. An optional spreader, hand wand, and foam kit attachments are available. 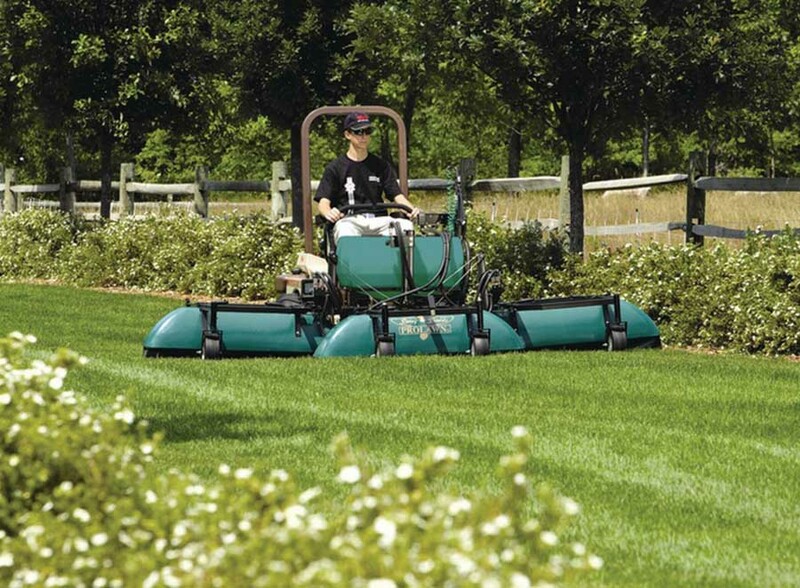 Check out ProLawn's Shielded Sprayers demonstrated with Grasshopper Mowers on this page. Copyright © ProLawn Quality Products. All Rights Reserved.